2 Post terminal. Sits on my trickle charger, all charged up. Came with a car I own, got a bigger battery for audio. 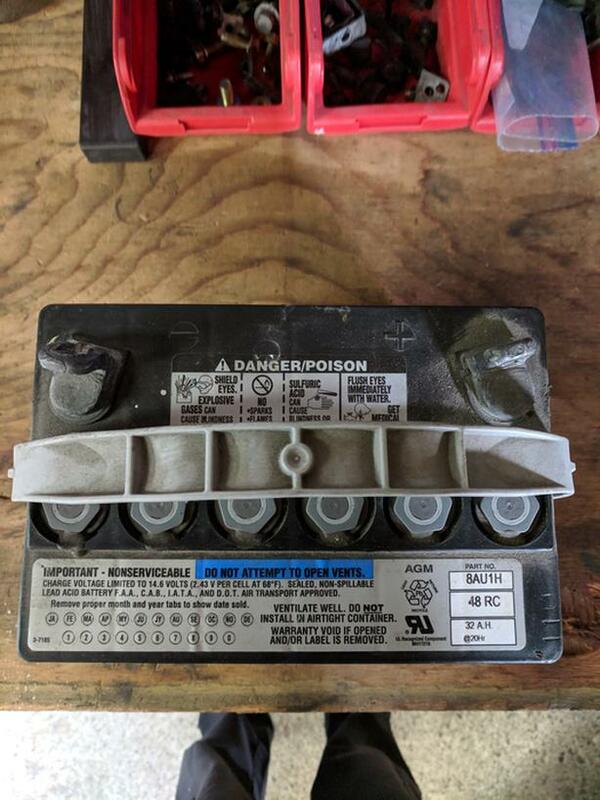 Good size for Hondas and their small batteries they operate on. Bigger than a traditional motorcycle battery.